All foreign taxpayers who stay in the ROC less than 183 days in a calendar year are now non-resident. The old regulation ‘he or she stays for 183 days or more and continues to stay uninterrupted over the next year without leaving the ROC, he or she will continue to be treated as a resident…’ has expired. This is not good news as it means that for any teachers leaving Taiwan between Jan and June there will be no tax rebate and the tax rate will be 18%. It also means that teachers will now be charged 20% tax for all salary received between January and June. There will of course still be a rebate for teachers who stay longer than 183 days in the year. From 2010. the tax rate for teachers is 18% for the first 183 days of every calendar year. After 183 days (within the same calendar year) the rate will drop to approximately 6% or 10% for the remainder of the year. At the end of each year, teachers who stayed in the country for at least 183 days (within the same calendar year) will be eligible for a good tax rebate on the tax paid in the first 183 days. What about paying your taxes as an American citizen abroad? Great question! 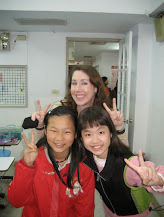 This is a very common concern for teachers who are teaching English abroad in Taiwan. So common in fact, that we have dedicated an entire page to answer just this quesion. Please follow this link to find out more about paying your taxes as a US citizen abroad.